At that resolution they should set the exposure for the bright spots so they don't get overexposed. Perhaps it's not ice, but some rock/metal similar to obsidian? 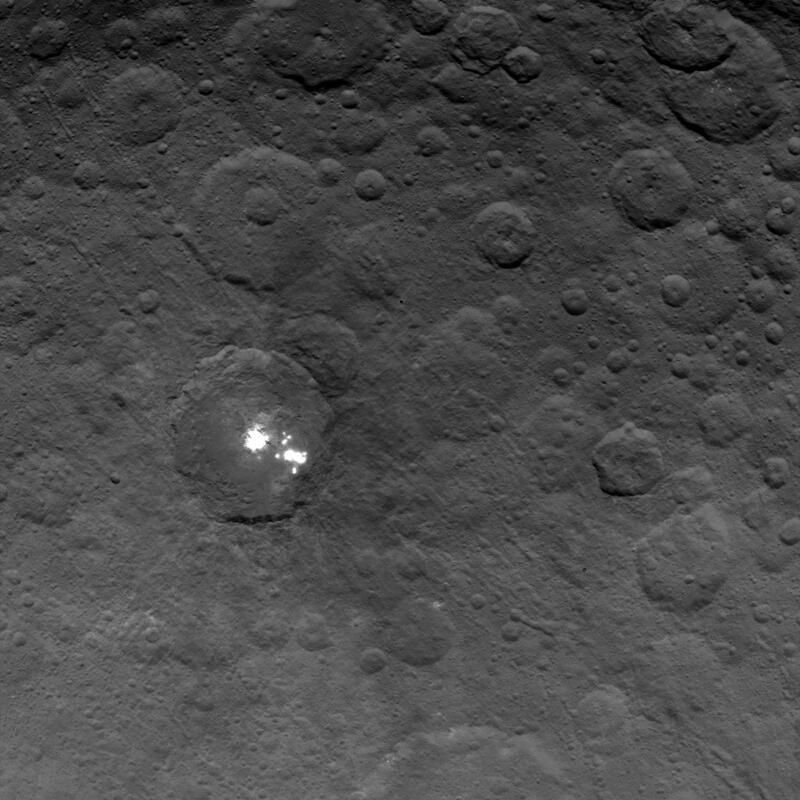 If it's only in that one crater (or a few of them), then that would mean that the asteroid or whatever hit Ceres had the material in it and the impact caused a sudden creation of a glassy rock. "Shiny" igneous rocks tend to cool extremely fast, I wonder if that's what's happened here? An intriguing thought. Couple of difficulties though. "Shiny" implies a specular mode of reflectivity, which would appear from orbit as a strong dependence of the spot's brightness on the illumination angle. 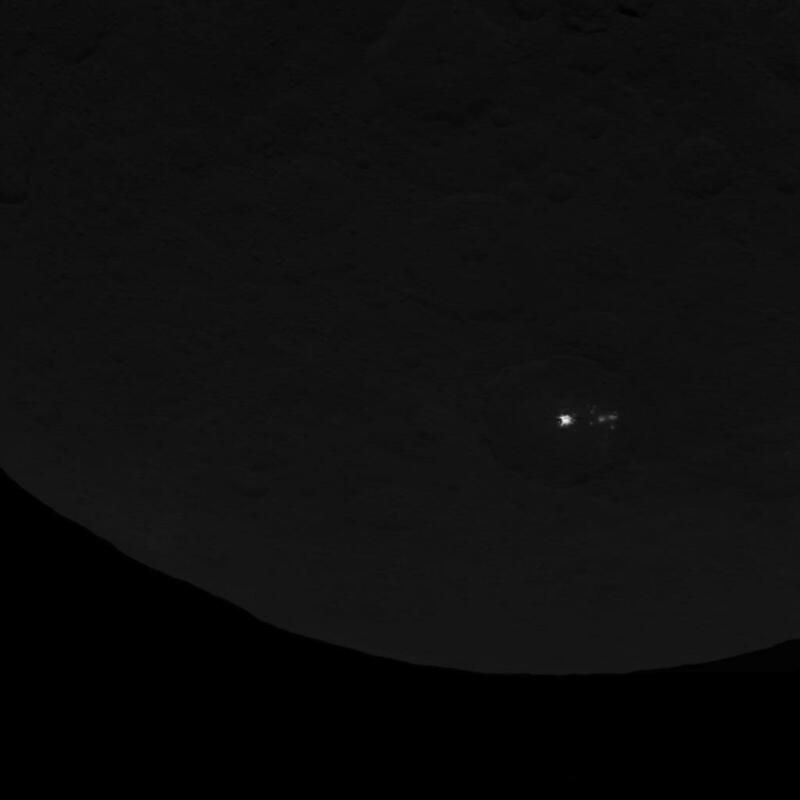 But we don't really see that here; it looks fairly uniformly bright from any illumination angle. This fits more with what we expect from a high albedo surface, like ice. (The ice may or may not also be "shiny"). The other difficulty is in how the heat would be lost quickly enough. In vacuum, heat can only be lost by thermal radiation, which is fairly slow. This is so painful to watch. This guy obviously has zero knowledge about astronomy or space exploration. 99% sure that it's intentionally made to be dumb. Also, don't know if anyone heard about the haze over the bright spots? Suggests that this is indeed ice which sometimes sublimates in the sun, producing a thin localized atmosphere. How cool is that? More likely salts, not ice according to NASA. It's ice, it's salt, it's salty ice? 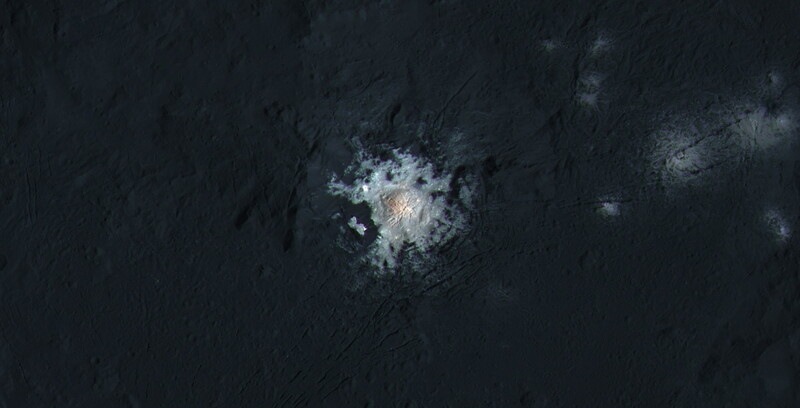 Interesting that the albedo is lower than expected of ice, but Ceres has a pretty dark surface. Easy overexposure even if it's not nearly white. It's salty ice! (More work still to be done, for sure, but it looks like they're getting a pretty strong working hypothesis together). One of my favorite planets. 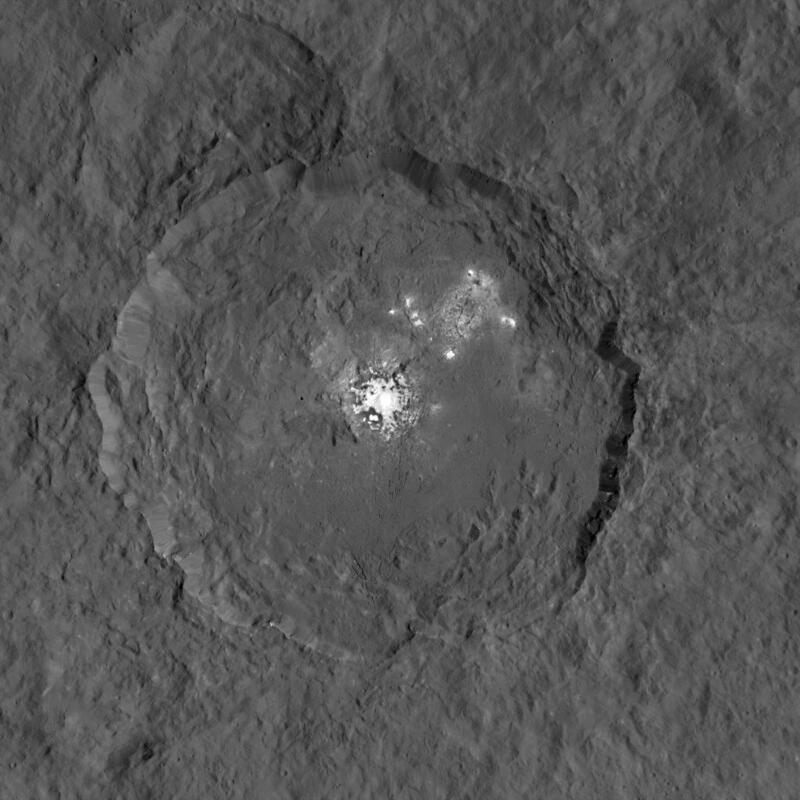 I know the topic is kinda dead, but 2 days ago NASA released new images from Ceres and information its about chemical composition.